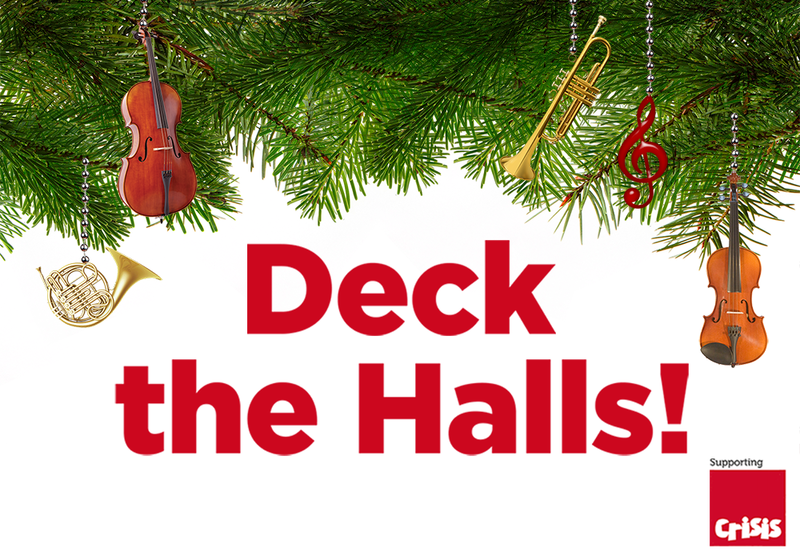 You are here: Home / Events / Deck the Halls! Join the London Mozart Players and special guests The Croydon Citadel Band of the Salvation Army, the choirs and orchestras from Rockmount and Cypress Primary Schools and The Croydon Crisis Skylight Singers for a festive concert of seasonal music with carols for all and mulled wine! This Christmas concert is full of local talent! The concert will see our project with Crisis in Croydon come to fruition: songwriter Michael Omer worked with clients from Crisis to write a song called ‘Things Are Getting Better’ which will be performed by the schools with The Skylight Singers (a choir formed of those helped by Crisis) and local poet Shaniqua Benjamin will perform the spoken word element of the piece. In addition, the two winners of our Musical Stars competition for young singers, will also perform; and finally, a young cornet player from Croydon School, Thomas Nielsen, the winner of BBC Radio 2’s Young Brass Player 2018, will also be playing a solo alongside LMP. What a line up! The warm and welcoming church of St John the Evangelist in Upper Norwood plays host to this wonderful concert for all the family, so grab your santa hats and come along! Programme includes: In the Bleak Midwinter, Jingle Bell Rock, Have Yourself a Merry Little Christmas, Sleigh Ride, Brahms’ Hungarian Dance, Schumann’s Träumerei and many more.